For wet storage to be practical, you&apos;ve got to keep ice at bay. The two most common methods of doing this are bubblers and ice eaters. Both work on the same principle—warm water from the bottom is circulated to the surface, keeping the area above free from ice—and both work best where the water at the dock is deep enough to allow a plentiful source of warmer water. Bubblers rely on compressed air pumped down to tubes laid on the bottom. Holes in these tubes allow the air to escape, and the rising air bubbles carry the warmer water upwards. Ice eaters, on the other hand, are waterproof electric motors suspended from the dock. Spinning propellers send the warmer water to the surface. 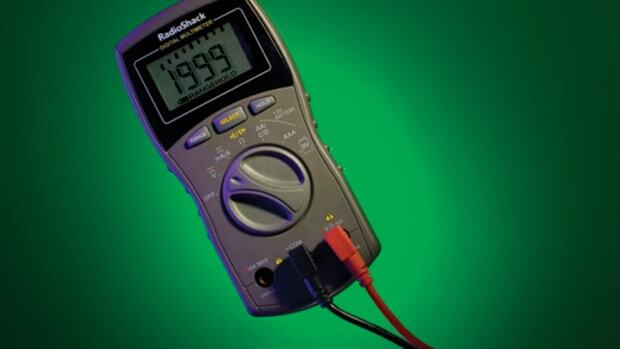 Typically ice eaters are categorized by the horsepower of the electric motor, 3/4- and 1/2-hp being the most common. Regardless of which storage option you choose, it&apos;s important to support the hull in many places. The dock, of course, must also be substantial enough to survive the winter weather. 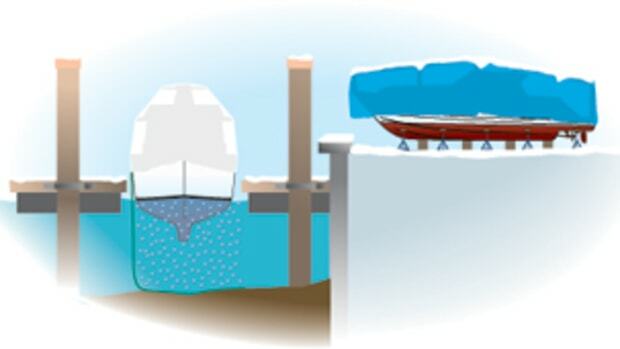 One common problem with the wooden pilings used in many docks is "pile jacking," a situation where ice freezing around the dock pilings and rising with the tide actually pulls the pilings out of the bottom. Spring breakup and the resulting ice flows can also be dangerous for both docks and boats. Boats left in the water can experience chafe on fenders and dock lines. Significant snowfalls are a particular problem: The roofs of covered slips can collapse under the weight of heavy, wet snow, and ice freezing in scuppers can prevent drainage and allow ice and snow to accumulate to dangerous levels. On the other hand, boats are designed to be in the water, where the hull is evenly supported and there are no stresses from being placed on boat stands and blocks. Wooden boats in particular are often better off left in the water. Because dry storage involves hauling the boat out and placing it in a yard, you will be at the mercy of the yard schedules concerning when the boat is pulled and launched and where in the yard she is located. Scheduling usually follows the acronym FOLI: First Out, Last In. Proper blocking is essential for boat survival on the hard. 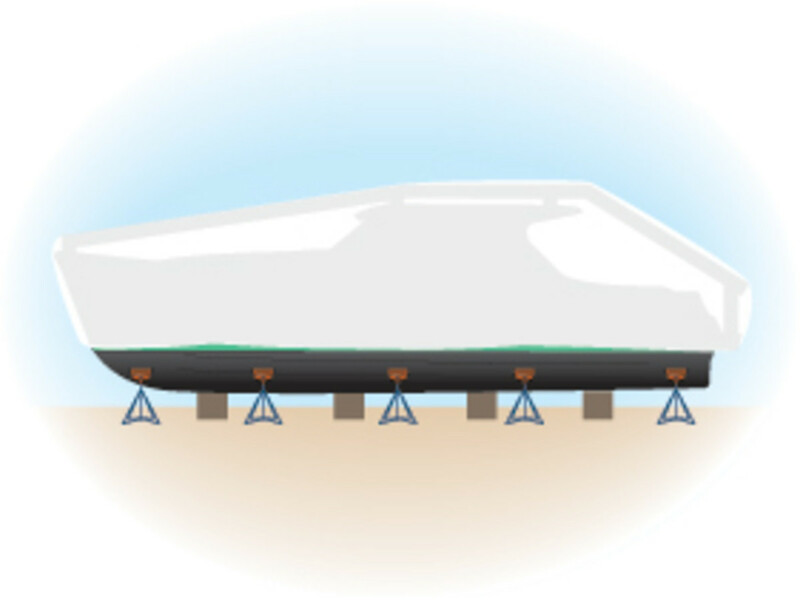 Keel blocks need to be placed appropriately and enough boat stands used to stabilize the boat. The surface of the yard is also important. Keel blocks have been known to sink into soft ground during winter thaws as well as the spring thaw, adding stress where the hull contacts the stands. Too much, and deformation and even cracking can occur. Boat stands should be chained together from side to side; even a modest wind can rock a boat and allow a stand to "walk" out from underneath to the point where the boat can actually fall off the stands. And make sure that no part of the winter cover is tied to any stand, as that can make the stands walk even faster. Some people will place various kinds of heaters aboard to keep the interior warmer and mildew-free, but this can be dangerous if the surrounding materials overheat and start a fire. There are some marine heaters that are designed specifically for this purpose, but check to see if your yard allows them. Two of my favorites are GoldenRod, and BoatSafe. Once you&apos;ve solved the wet versus dry issue, the next one to deal with is covered versus uncovered.